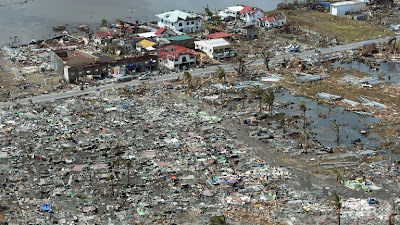 Greetings bloggernauts- today I want to bring to mind the disaster that is currently still ongoing in the Phillipines- Super typhoon Haiyan and its devastating effects. The Associated Press is great for mentioning the devastation as it occurs, but fails to really break down the personal impacts that these types of disasters can have on a population. Here is a page with links to reliable volunteer organizations that can help victims of the storm surge (notably Red Cross and the Philippine Red Cross). While sending food and other goods may be tempting, remember that the best way to support devastated communities is to donate money to reliable humanitarian and volunteer agencies who know what the needs in that community are. The Slate has an excellent article regarding this. My thoughts are with those affected, as well as their friends and families. Perhaps a new climate trend, the idea of 'Weather on Steroids' was recently brought up by Jane Lubchenco, former NOAA director, at a seminar at Hatfield Marine Science Center (Newport, OR) last week. After this intriguing talk, warnings of Typhoon Haiyan's potentially devastating effects began to be distributed by the Philippine government. 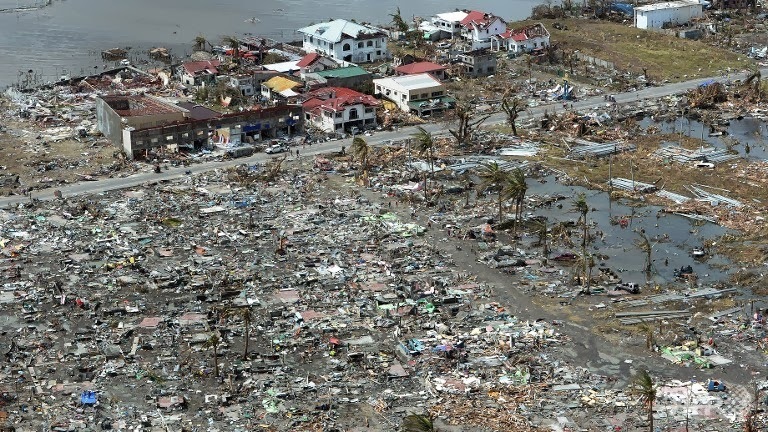 Typhoon Haiyan has now been coined a 'super typhoon' for its incredible winds and devastating effects; winds averaged 195 miles per hour as the highest point of the storm reached landfall. According to BBC News, these winds were triggered by a particularly (and abnormally) low pressure zone that were previously modeled by climate scientists. While there were several warnings issued to plan and evacuate, only so much can be done when a storm of this magnitude reaches isolated island countries. This event is a reminder that even with forethought, scientific prediction, and planning, significant community and structural devastation cannot be prevented; although lives can be saved. It should be noted that the storm was first predicted 12 days in advance; in theory this is adequate time to evacuate a population, but the reality of evacuating an entire population of people is logistically challenging; especially in isolated places. Even if every individual is evacuated successfully, the task of community rebuilding is especially daunting. The powerful winds forced waves that encroached onto shore and reached a height of up to 5 meters above sea level, flooding low-lying communities on the islands. The storm surge effect can be related to smaller storm surges seen in coastal zones when low pressure zones cause powerful winter storms that encroach up beaches. However, due to the funneling effect and extreme circumstances, the water level was high enough to flood out entire communities. 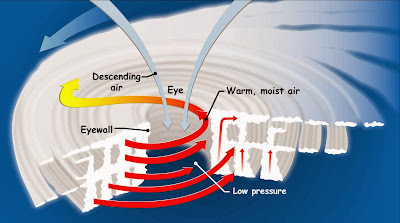 Did you know that typhoons, hurricanes, and cyclones are all essentially the same type of weather phenomenon? However, they are named differently based on where they occur, and their basic mechanics. (This information, and more hurricane facts, can be found on NOAA's Hurricane Research Division FAQ Page). A super typhoon, like Super Typhoon Haiyan, is defined as a typhoon whose winds reach sustained winds more than 150 miles per hour (NOAA).